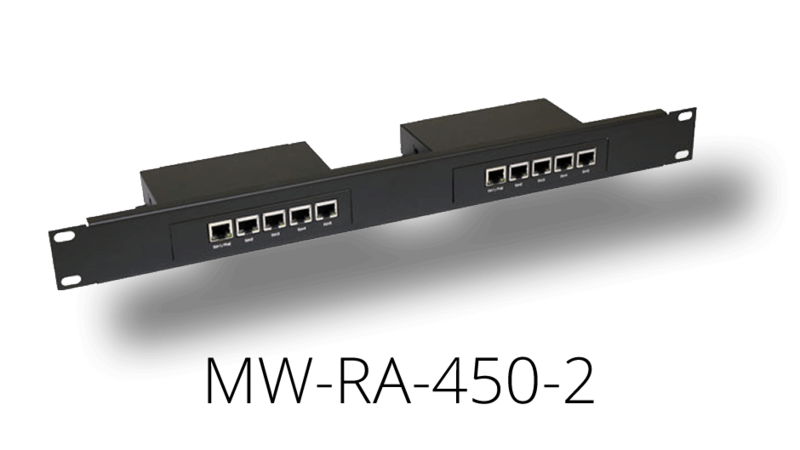 Rack mount your MikroTik RB450 easily and inexpensively! Note: Shown here with MikroTik RB450 & Maxxwave enclosure. All sold separately.